Labor Day is considered the end of the Summer season but according to the calendar, Autumn doesn’t begin until 23 September. Celebrate one last hurrah by attending the first annual Squallfest to be held in Lexington, Kentucky from 19-20 September. 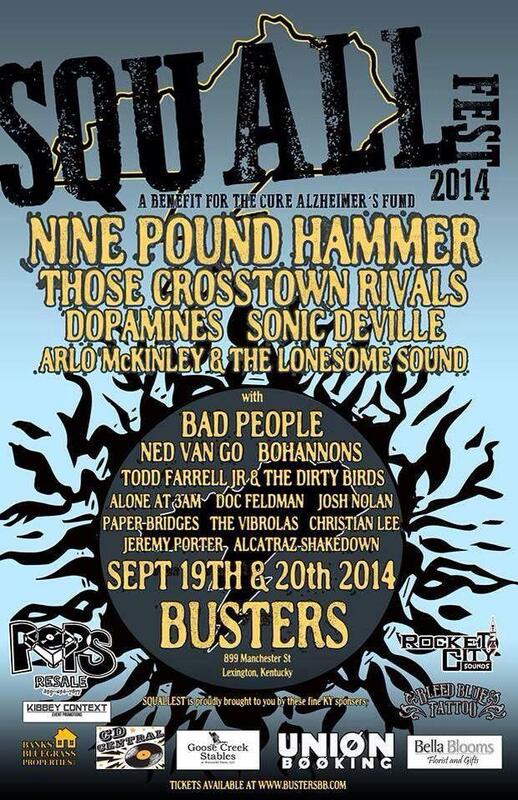 A fundraising effort to support the Cure Alzheimer’s Fund, the two-day festival will feature such acts as Bucket Full of Nails favorites Doc Feldman, Alone at 3AM, Josh Nolan, Todd Farrell Jr & The Dirty Birds, Those Crosstown Rivals and many other regional acts. The full schedule is below.